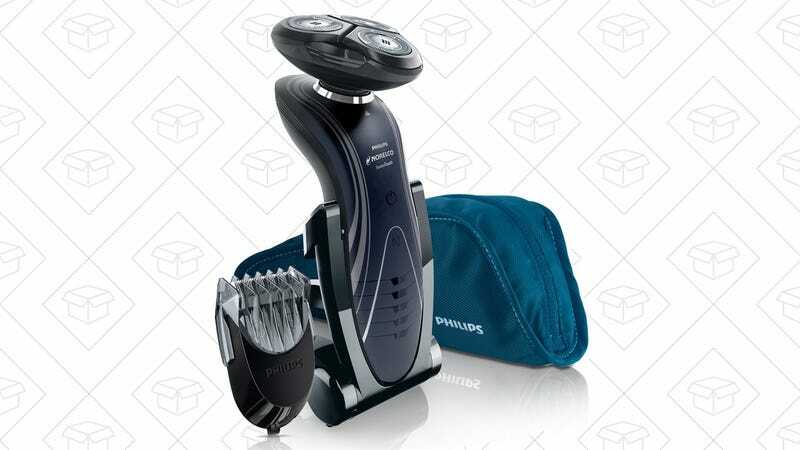 If you’re ready to make the leap to the world of electric shavers, the Philips Norelco 6800 is a great starter razor, especially at $59. That gets you a five-length trimmer attachment, a travel case, and a folding charging stand that can actually fit in said case. Just be sure to clip the $20 coupon on the page to get the deal.